Losing a tooth is traumatic, there are no two ways about that. The prospect of getting an implant can be scary as well, unless you know what you’re dealing with. Here are some general facts about tooth replacement with dental implants that will help you in any decisions making and put your mind at ease. 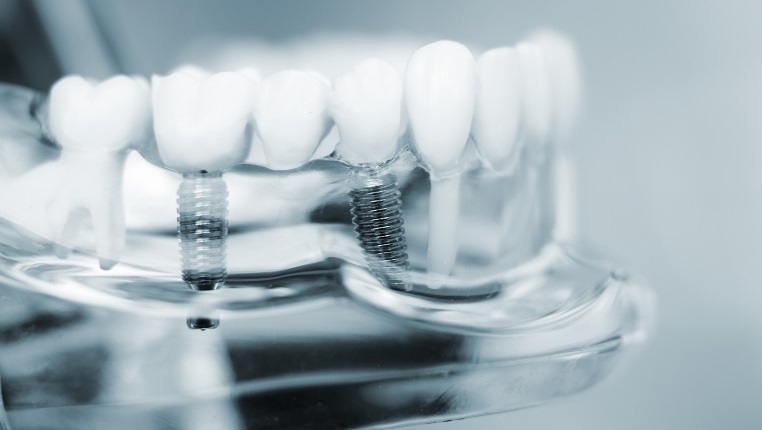 The longer you wait following the extraction of a tooth which has been irreversibly damaged by decay or injury, the more extensive, and complicated, the dental implant process is. Also, the sooner you get dental implants, the greater the chances of success. Once a tooth is removed, a process immediately begins in which the jaw bone is absorbed by the body. Waiting too long can often result in the needing for a supplemental bone graft. Placing an implant at the time of extraction can decrease the time required for healing before a restoration can be placed onto the implant by as much as six months in most cases. When a traditional bridge is placed to restore a missing tooth, the teeth on either side of the missing tooth must be drilled down as if a crown was being made and they are then connected together by the missing tooth replacement, thus forming a “bridge”. This tooth reduction on both sides of the missing tooth are not required when an implant is placed. The implant-born restoration is free-standing and adjacent teeth are not altered at all. While local anesthesia is used to numb the part of your mouth being worked on, usually the placement of implants is pain-free. In some cases, dentists will offer sedatives to ease anxiety. After the procedure, most patients do not feel any pain at all at the site where the implant was placed. Implant-born crowns provide an extremely cosmetic, natural-looking replacement for missing or badly damaged teeth when made by an experienced dental team. Cosmetic Dental procedures done properly are such that no one should be able to tell that the replacement teeth are not original teeth. The gums and bone around the implant as well as the restoration itself must all be carefully managed to get this type of look, but the results can be spectacular. It is truly a dental “do-over”! Advances in dental treatments and technologies have been most impressive in the field of dental implant restorations. Dr. Jeff Turner is a Cosmetic and Family dentist. He and his fabulous staff can help you to have a healthy, pain-free mouth for life! Dr. Turner is located in Aliso Viejo across the street from the Aliso Viejo Library. For more information or to request a complimentary consultation, visit us at: TurnerDentalCare.com.